BRUSSELS, Belgium, 2017-Jul-14 — /Travel PR News/ — The Rezidor Hotel Group is pleased to announce the appointment of Chema Basterrechea as Executive Vice President & Chief Operating Officer (COO). Chema Basterrechea has been Chief Operating Officer at NH Hotel Group, prior to his appointment with Rezidor. 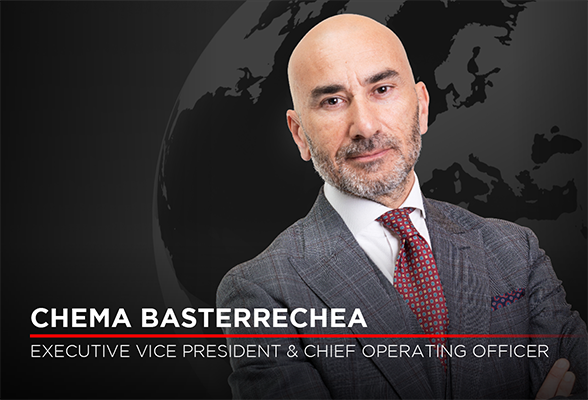 Chema has worked for NHHG for more than 23 years, as Chief Operating Officer, Managing Director of different Business Units, Senior Vice President Food & Beverage, Director of Integration, Merger Integration Officer and General Manager. As an expert in operational excellence especially during mergers and acquisitions, Chema spearheaded a complete integration of all the different acquisitions: Benelux largest hotel chain, Golden Tulip Hotels, as well as Germany’s Astron Hotels and the Italian Hotel Chains – Jolly Hotels and Framon into NH Hotel Group. This entry was posted in Hospitality, Hotels, Travel, Travel Management and tagged Chema Basterrechea, Federico González Tejera, The Rezidor Hotel Group. Bookmark the permalink.